I first heard of The Glitch Mob when a friend sent me a tip about their remix of Nalepa – Monday and I’ve been hooked on their dark and distorted version of glitch since. The hype has been pushed further by a steady stream of amazing live clips and energetic remixes making their way onto the interblags, as per usual these days. What’s also usual these days are album leaks of highly awaited albums, it’s more of a rule than an exception. Rather then being the exception that proves the rule, the glitch mob had their album leaked, leading to the decision to stream the whole thing from their site starting last week. Today all the songs popped up on their youtube channel too. Have a taste of this glitchy little wonder, then get a copy from the mob itself or itunes, also spotify. 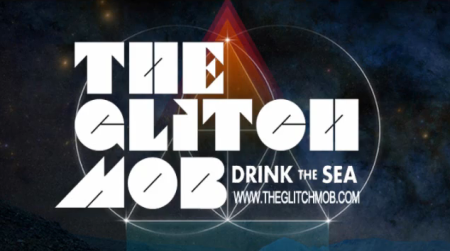 This entry was posted on May 25, 2010 at 17:03 and is filed under Album, Hype, Music, Tips with tags The Glitch Mob. You can follow any responses to this entry through the RSS 2.0 feed. You can leave a response, or trackback from your own site. BIG thanks for lending the words of support. So much appreciation!